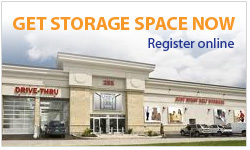 We are the largest self-storage facility in the city core. Our location is convenient for all commuters as we are centrally located and easily accessible from Gatineau/Hull. We are close to the war museum, O-Train for students, and just off the main transit-way. Just Right Self Storage is a division of Metcalfe RealtyCompany Limited, a member of the Fuller Group of companies.